The dust has barely settled on the launch of the Canon EOS R, the brand’s first-ever full-frame mirrorless camera, yet internet reports suggest Canon could be about to follow up by adding a second full-frame mirrorless body very soon. The EOS R was Canon's first ever full-frame mirrorless camera. So, the specifications actually suggest the RP won’t have as many features as the ground-breaking EOS R - for example, it’s been suggested the innovative top bar will be missing, replaced with an extra control dial. What’s more, while the EOS R offers 30-megapixels, it’s suggest the RP will only offer 24-megapixels. 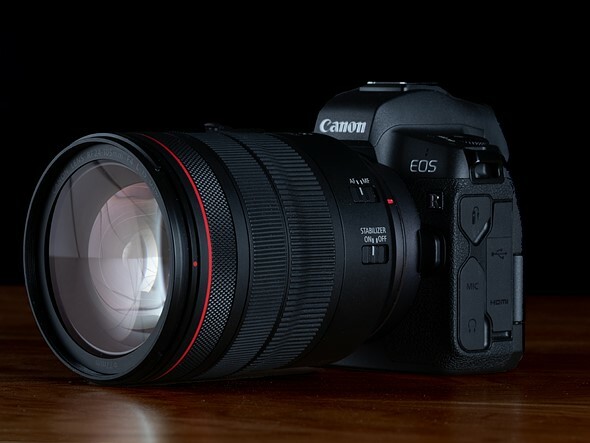 Essentially, the RP looks to be a more entry-level version of the EOS R and this could prove to be a huge win for Canon. The brand enjoyed major success with cameras like the 6D - a truly affordable full-frame DSLR, and the 7D MkII, which enabled aspiring action photographers to access fast burst rates and advanced autofocus technology for sensible money. The RP looks to be following this formula as it’s suggested the camera will cost just $1300 - a highly aggressive price that should worry rivals. This could also serve to win over photographers who are tempted to go mirrorless, but simply couldn’t justify the higher price-tag of the EOS R.
The RP is rumoured to be lighter, with the touch bar removed in favour of a dial. Despite the lower rumoured price-tag, it appears the RP won’t be short on cool features. Reports say the RP will include 4K video with Canon Log, a 5 Frames Per Second burst rate and Dual Pixel autofocus with Eye AF. What’s more, the suggested specifications mention the RP could weigh as little as 400g, which would make it one of the lightest full-frame mirrorless on the market. Better still, it appears photographers won’t have long to wait to hear more specifications and get their hands on the new model, with a launch date of February 14 currently expected. Canon EOS RP и 8 объективов RF представят уже на следующей неделе? Canon EOS R со 100-мегапиксельной матрицей и IBIS? Следующая камера Canon EOS R получит 5-осевую IBIS? Canon закрывает производство одной линейки зеркалок, чтобы сфокусироваться на беззеркальных камерах? Although Raw performance of the EOS R is very similar to the 5D Mark IV, Canon's done some tweaking on the JPEGs - take a look at our studio scene to see for yourself. What does the EOS R tell us about Canon and the RF mount's future? Canon EOS R – успех или фиаско?